Pomace brandy distilled in Bodegas Can Vidalet. 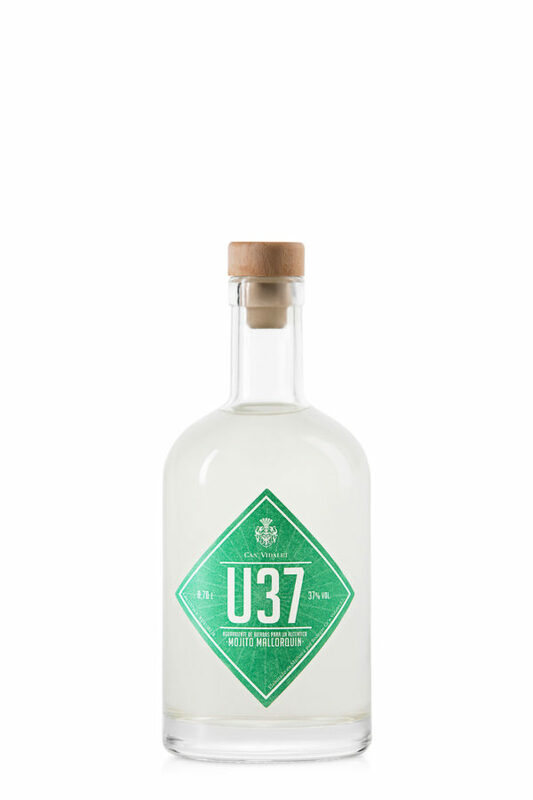 U37 is the result of the fusion of the spirit obtained from the distillation and the citrus fruits and fresh herbs, which have been macerated together for several hours. Transparent in colour with light green reflections, polished and bright. On the nose dominate fine aromas of fresh herbs, perfectly paired with a touch of citrus and a subtle hint of Grappa. Sweet balance on the palate, leaving a pleasant fresh and balsamic aftertaste. Marc (fermented skins and pips), distilled in small batches.